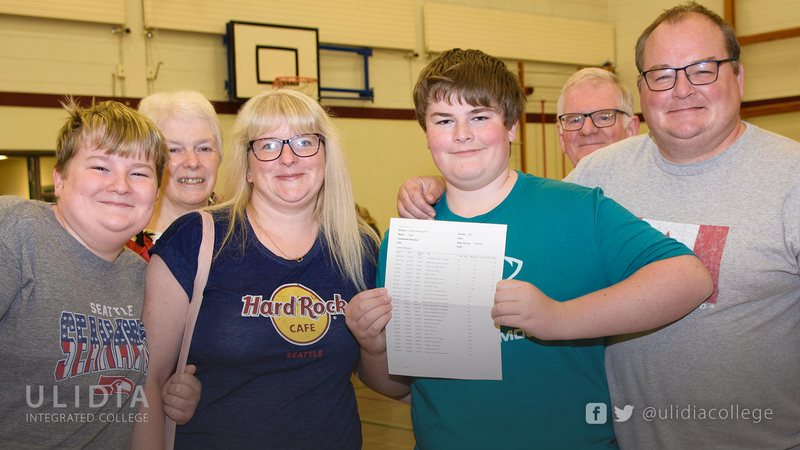 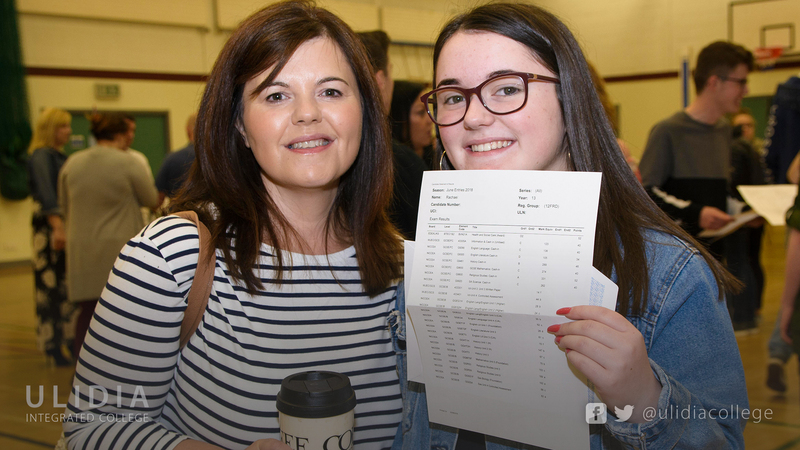 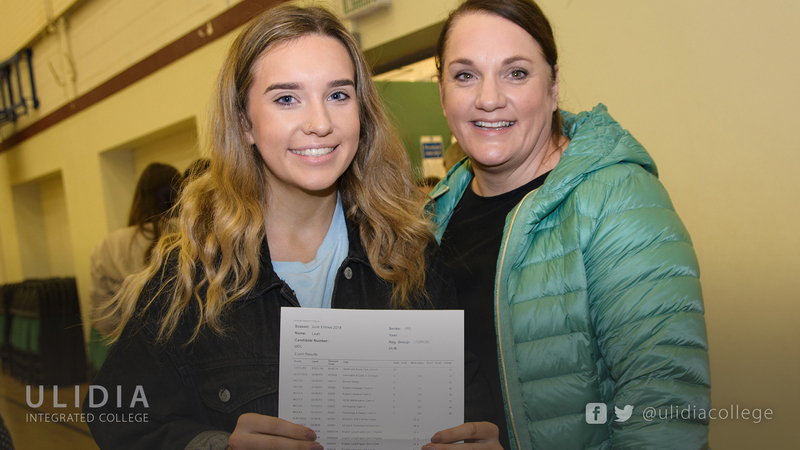 Ulidia Integrated College has recorded outstanding 2018 GCSE Results with 59.2% of pupils gaining 5 or more A*-C grades including English and Maths. 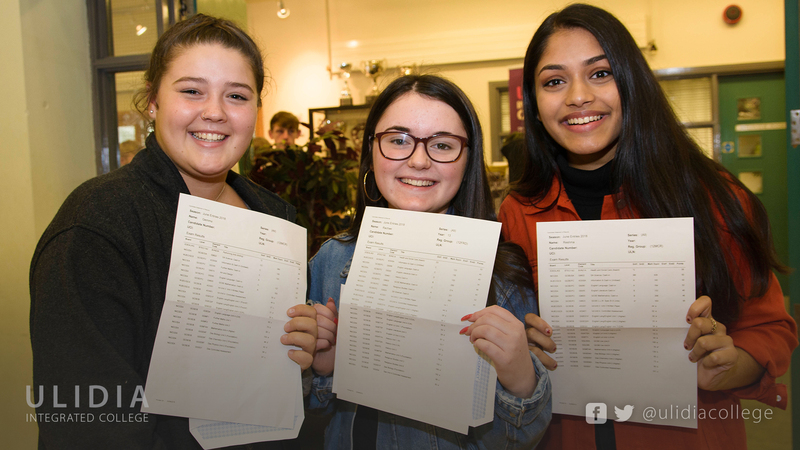 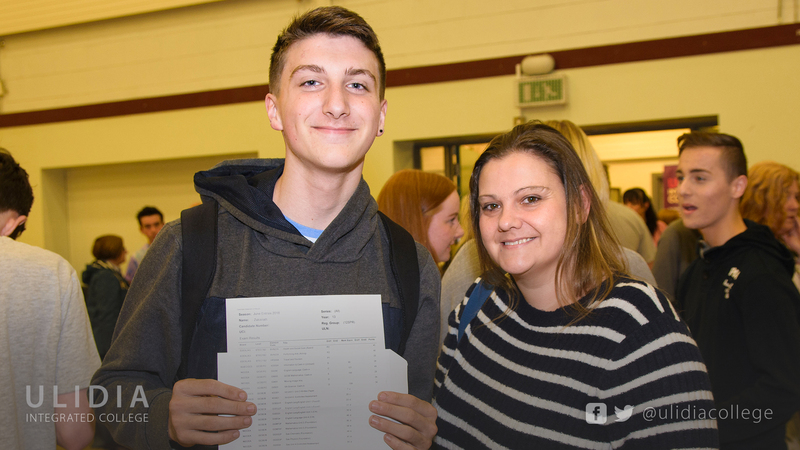 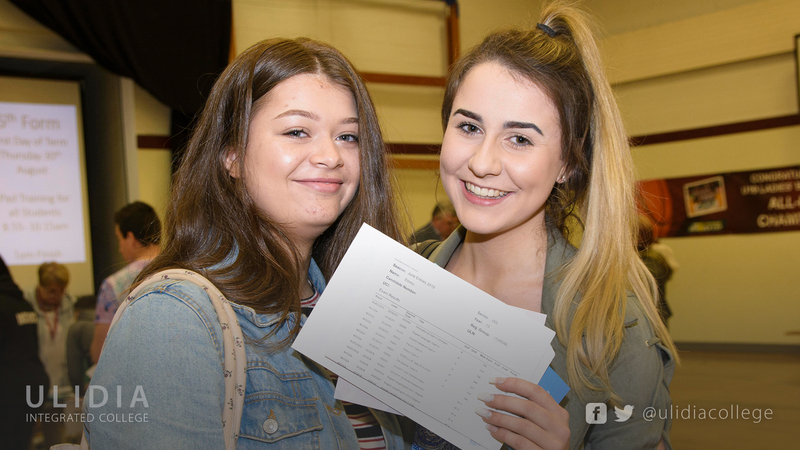 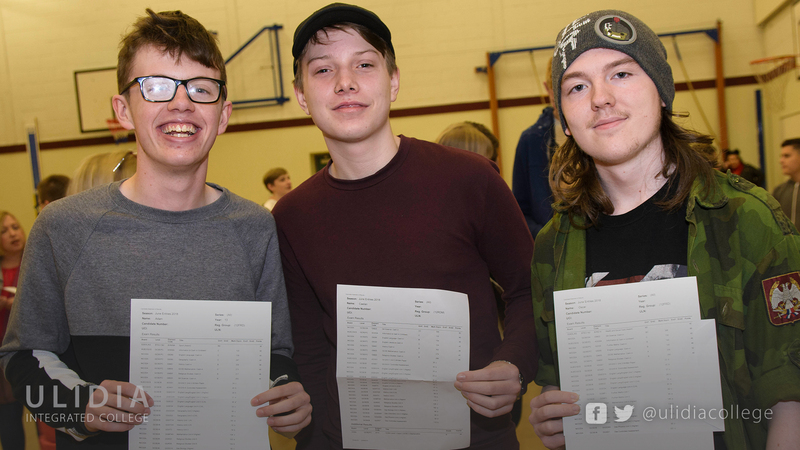 Principal Michael Houston reported an overall pass rate of 64.5% attaining 5 or more A*-C, with the vast majority of these coming from academic GCSEs. 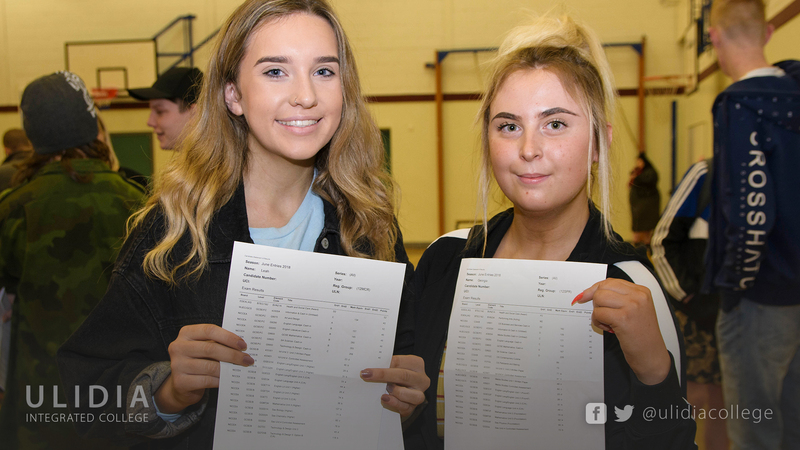 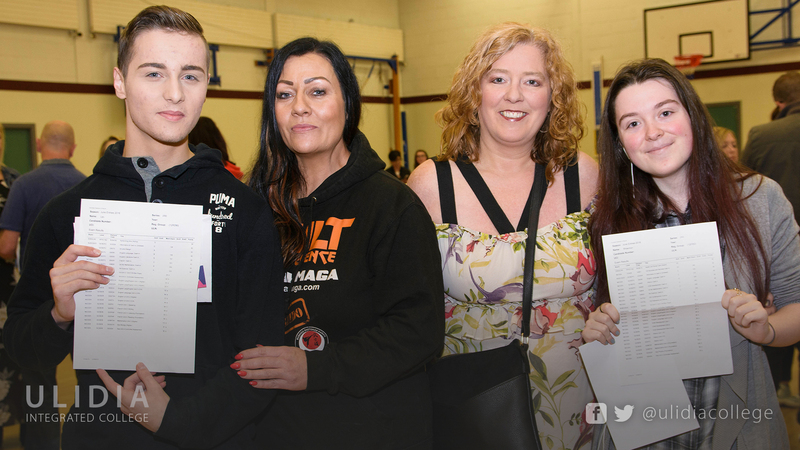 English, Maths and Science results in particular were excellent, with 84% of pupils attaining A*-C in Double Award Science, 73.8% of pupils attaining A*-C in English, 71.4 % of pupils attaining A*-C in Further Maths and 64.3% of pupils attaining A*-C in Maths. 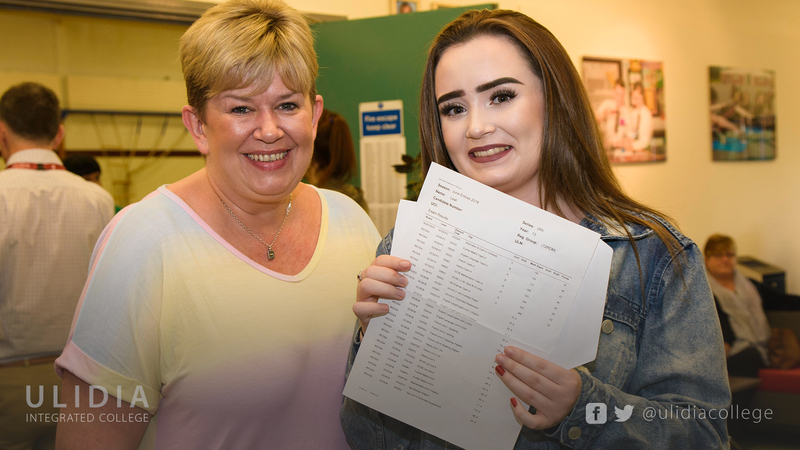 Art and Design also had a fantastic year with 92.2% of pupils attaining A*-C.
Mr Houston said, “Although these statistics are remarkable for the College, the real joy is in the pathways to success that these grades have opened for our students. 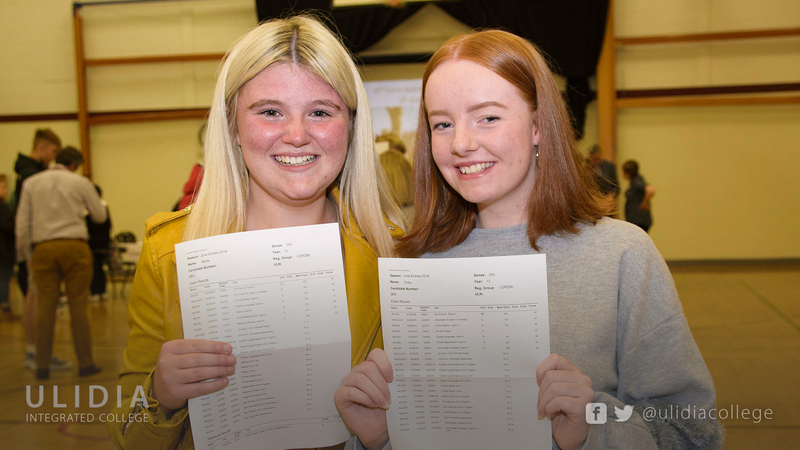 I expect record numbers returning to sixth form to study, and there will be particular interest in the new A-level courses we are running in Digital Technology and History.